The Distribution Line range of portable earthing equipment is suitable for temporary earthing of conductors within the range 11 to 66kV. 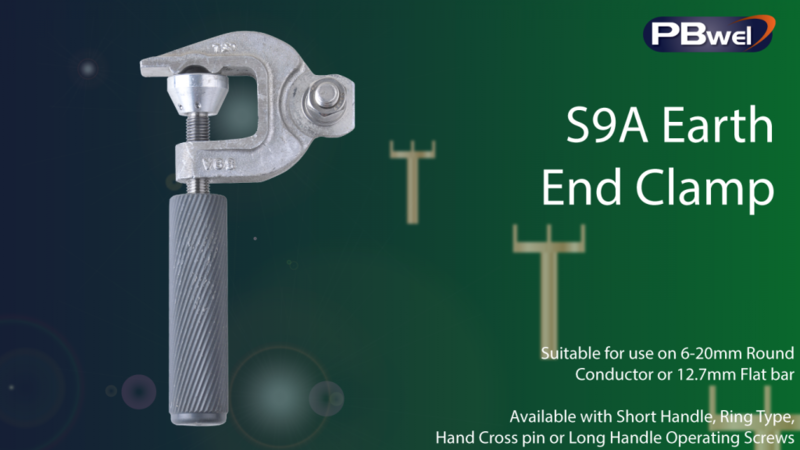 The S9A Clamp (sometimes referred to as grounding clamp) is of a robust nature and will withstand a reasonable amount of rough handling. The S9A is also available with short or long insulated handles, hand applied cross pins, ring or tapered style operating screws. When manually applying and removing these clamps firm pressure by a person of normal strength is necessary to achieve good contact and tightness. It is suitable for application to clean, aluminum or copper bar 12.7mm thick or 6.4 to 20mm round conductor or earth rod.